Lycoming Engines, a division of Avco Corporation, has added Airpart Supply Ltd, located at Wycombe Air Park near London's Heathrow Airport, to it's Worldwide Distributor Network. Founded in 1984, Airpart Supply Ltd, is an independent, privately owned United Kingdom based company supplying parts, components and services to airline, regional, corporate and general aviation aircraft. Its customers include some of the largest General Aviation operators in the United Kingdom, the Republic of Ireland, Europe and Africa. In addition, the firm proudly sponsors Red Bull Air Race pilot Nigel Lamb and the British Disable Flying Association. "Airpart Supply's success over many years is the result of its strong commitment to the aviation community, close relationships with fleet operators, and ability to respond to customer's needs quickly", said Michael Everhart, Lycoming's director of distribution management and customer service. 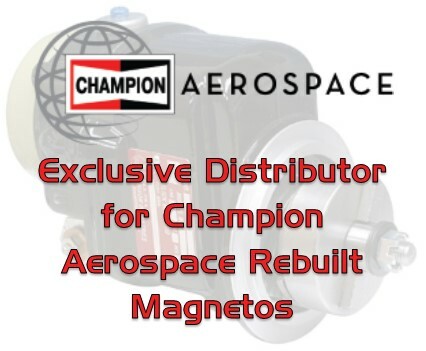 "It's a valuable addition to Lycoming's worldwide distributor network and we are proud to have them as a partner in upholding Lycoming's reputation for quality support and service". "We are delighted to have been chosen to partner with Lycoming Engines" said David McHugh, Chairman, Airpart Supply Ltd "This is a significant appointment for Airpart Supply; we are looking forward to working with the Lycoming team". Lycoming maintains a worldwide network of 53 knowledgeable and experienced distribution partners in more than 50 countries. Lycoming Authorised Distributors provide courteous attention and competitive pricing that continues after the sale and accurate information, service support and warranty assistance.